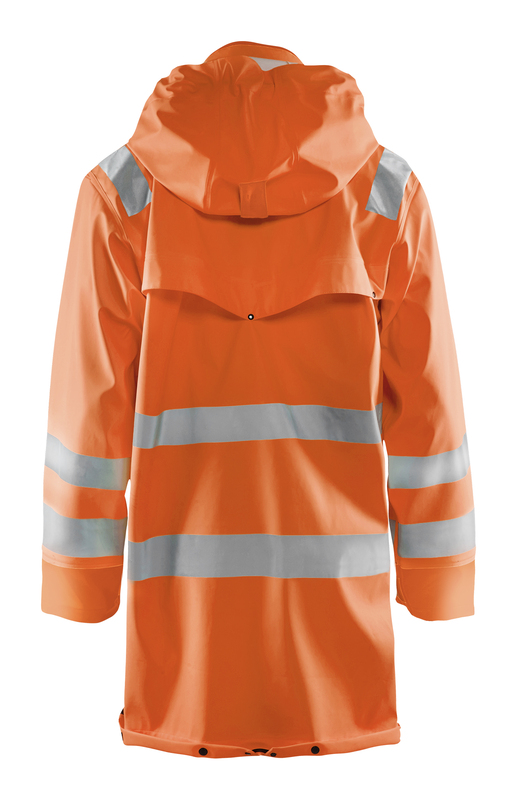 Raincoat in high vis for you with work assignments that require a durable but also movable rainwear. 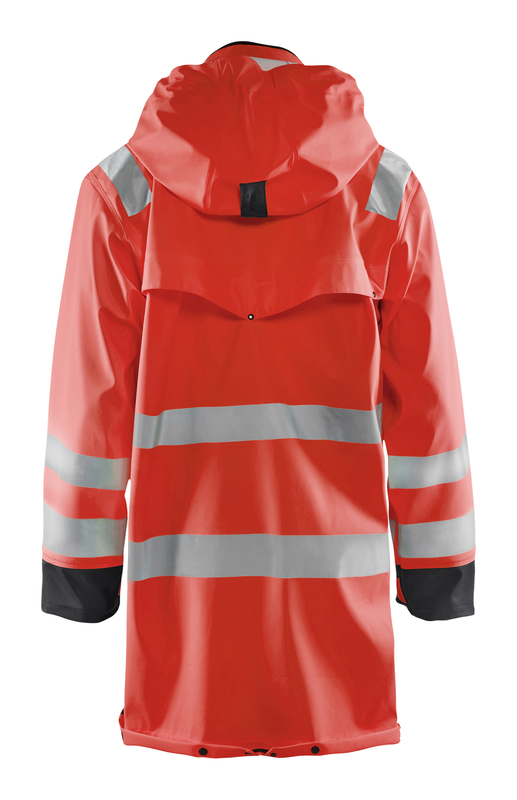 It is wind and waterproof with welded seams and ventilation at the back. 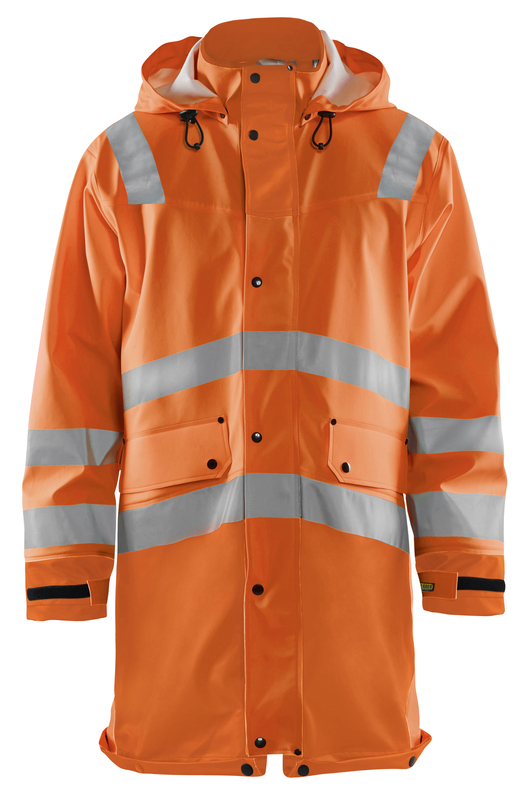 The coat has removable adjustable cap, soft fleece lined collar and is fitted with easily accessible pockets such as removable ID-card pocket, front pockets with cover and push button and napoelon pocket inside front lock. Robust hidden two-way zipper with zipper up to the collar, front with push buttons and a stormbutton that keeps the fluid away. Good fit with adjustable sleeve closure with velcro and inner neoprene wristlet that keeps the body warmth even when wet. 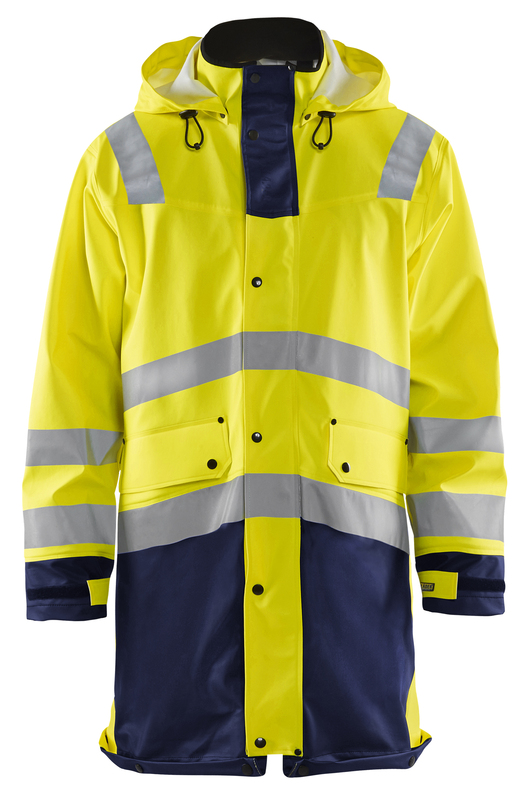 The coat has a unsnappable drop-neck at the bottom. 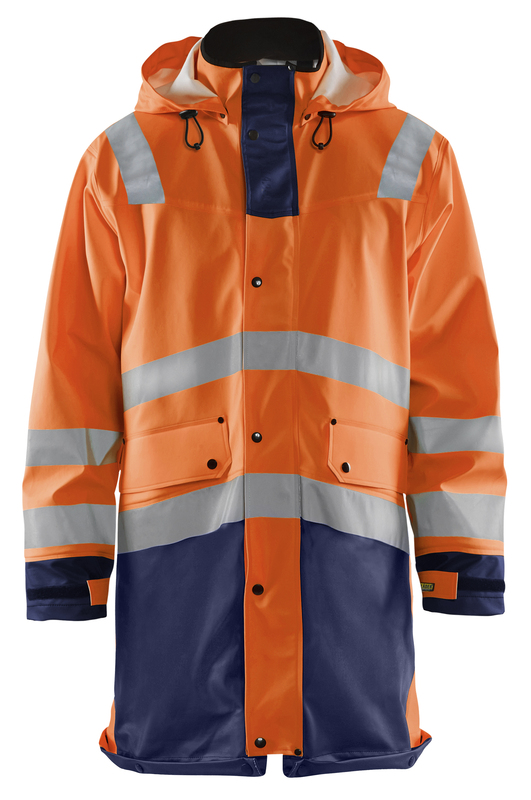 Certified according to EN 343, Class 3.1, Protective Clothes against bad weather and EN ISO 20471, Class 3, Protective clothing with high visibility. Polyuretan coated (PU) polyester, wind- and waterproof fabric with breathable function. Oeko-Tex®100 certified material.